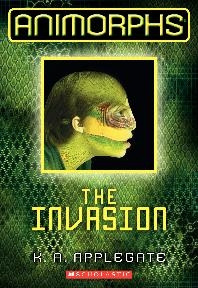 "The Invasion", the first book's cover is revealed. The books will feature an "updated look" (lenticular covers). As of now, only the first 6 books will be updated/re-released. The re-release will be heavily promoted. Discuss these updates on the Animorphs Discussion board. * Thanks to HiracDelest for these finds. DYK 82: Did You Know? DYK 81: Did You Know? DYK 80: Did You Know? DYK 79: Did You Know?